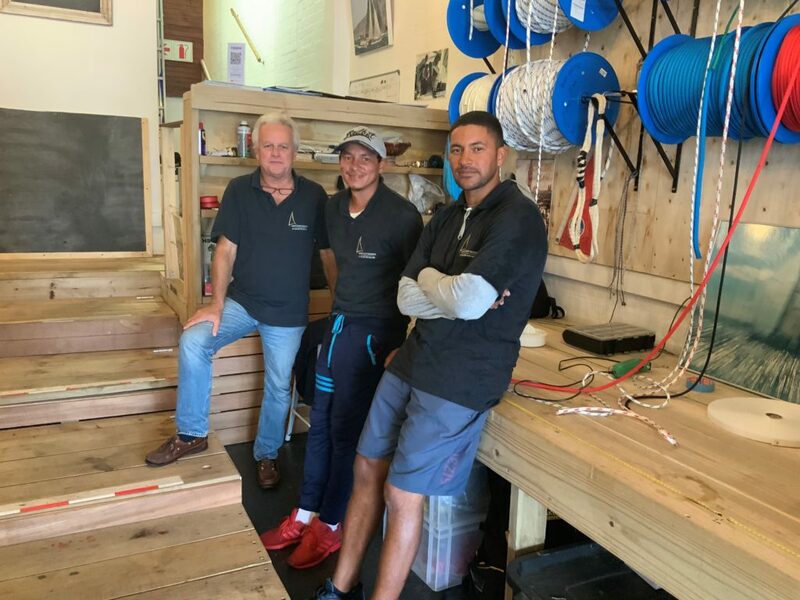 Jeremy Bagshaw, Kenwin Daniels and Marcello Burricks, equal partners in the Cape Point Sailing & Rigging Company. Jeremy Bagshaw is a name well known is sailing circles, not just as a solid yachtie, but also as a man who was able to share his thoughts and sailing experiences with well crafted articles, many of which appeared in SAILING Magazine. Having shelved his long term cruising plans, he recently started a rigging business together with two very talented and committed yachties, being Marcello Burricks and Kenwin Daniels. 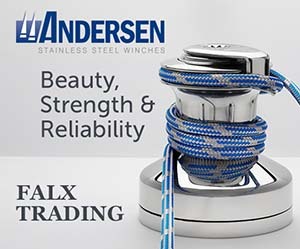 Cape Point Sailing & Rigging Co. (Pty) Ltd is the company, with Bagshaw, Burricks and Daniels all being equal owners. They are based in Simon’s Town, “but work pretty much anywhere” said Bagshaw. 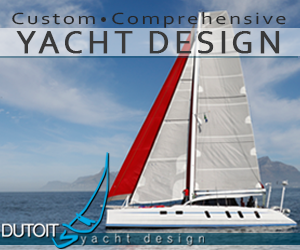 Besides rigging, they will generally assist visiting cruising yachts with their visa deadlines, rigging issues and most things boat-related. They have premises in the main road of Simon’s Town as their retail shop, sharing space with his wife Anita’s coffee shop. The result is a wonderful relaxed space where the coffee shop patrons can watch, first-hand, the riggers go about their work. It’s a wonderful atmosphere and one unique to this country. Oh and by the way, the coffee is really good too, the healthy food options are reasonably priced, and there’s WiFi as well!. A recent addition to the shop is the inclusion of Sailing Books for sale. Already they have a large range of quality books which will be added to over time, so if real books, rather than those so-called ‘electronic offerings’ are your thing, drop in for some coffee and cake, or lunch, and browse their selection. Bagshaw has many ideas for the business, as well as the coffee shop, but one thing is certain, and that is that he will do his damnedest to bring back some marine traditions to the area.